Gene Simmons has taken over his personal Twitter account in the past few weeks and has been very entertaining to follow. We love it! 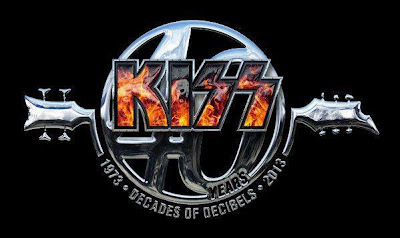 Lately, Gene has been hinting towards some sort of KISS 40th Anniversary celebration this coming New Year's Eve, on December 31, 2013. "When we mount a stage, we are deadly serious. Gotta be primal. It can't be just a concert. Like boxer entering a ring. You want a knock out. KISS will celebrate our 40th Anniversary on New Years Eve." "Past members are part of the past. Good wishes to the past. We live in the present."